If you are interested in setting up a scheme, the first step is to speak to your neighbours and find out if they are also interested. 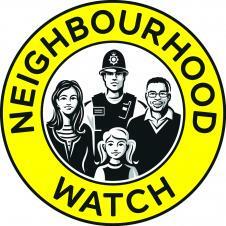 The more residents there are who want to get involved, the more successful a scheme will be. 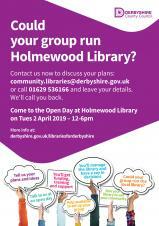 Could your group run Holmewood Library? 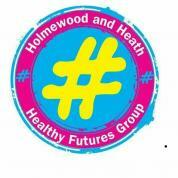 Could your group run Holmewood Library? Contact Derbyshire County council now to discuss your plans: community.libraries@derbyshire.gov.uk or call 01629 536166 and leave your details. They will call you back. Derbyshire's Police and Crime Commissioner Hardyal Dhindsa's plans to increase police funding for Derbyshire in the next financial year have received a unanimous thumbs up from the Commissioner's scrutiny body, the Police and Crime Panel. HS2 would like to make the public aware of a community survey which we will be running along the route of the proposed new railway. 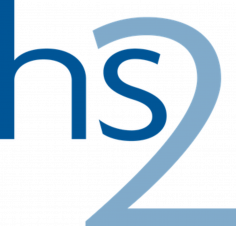 Starting this week, 15 October 2018, this will be in the form of a telephone survey carried out by Ipsos MORI on behalf of HS2. We are supporting a national campaign aimed at getting people heart health aware and would like to ask you to promote this in your website and newsletter. Police and Crime Commissioner Dhindsa - Listening to You consultation - Have your Voice Heard! 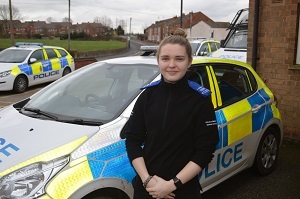 is currently running his annual Listening to You campaign 2017-18 to engage with all communities of Derbyshire to help shape the future of policing. This is coming to the end of this current reporting period and we want to make sure the result represent all the people of Derbyshire, especially those of working age.